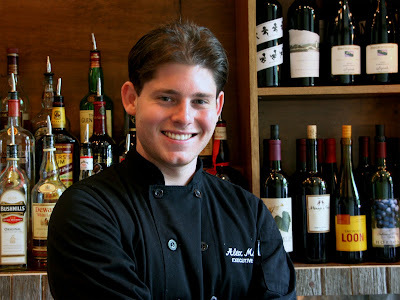 Born and raised in Montgomery County, Kitchen head chef Alex McCoy competed this spring alongside his brother on NBC's “Chopping Block,” overseen by England’s Marco Pierre White. He got his start in restaurant kitchens in 2003 at Café Gelato in Bethesda, where he was head chef. In 2007, he became chef and manager of Rugby Café, and in May of this year, he was tapped as head chef of the Southern-inspired Kitchen. 1. Every local knows roasted whole flounder with garlic and herbs at Pines of Rome is the best around, and save room for their famous homemade rhum cake. 5. Pizza Movers big cheesey pizza ... always a treat on my way home after work late at night.